If you have used Windows for a good amount of time, you may have come across boot record errors that prevent your Windows from booting up properly. The reasons for this error could be due to, but not limited to, corrupted or deleted boot files, removing Linux operating system from a dual-boot computer, mistakenly installing the older version of boot record, etc. The boot record errors are purely software errors and can be easily corrected using the Windows built-in tools and the installation media. 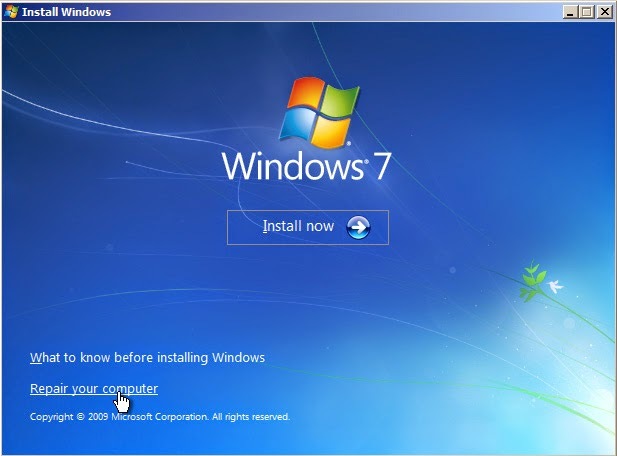 But the problem is that the Windows operating system doesn’t provide any sort of graphical user interface so as to fix the boot record problems with just a few clicks. So if you ever need to, here is how you can fix the Windows boot record errors by just entering a command or two into the Windows command prompt. 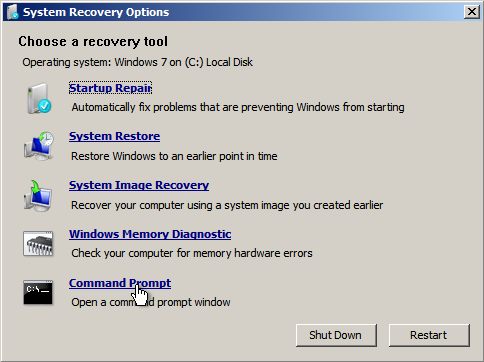 The above action will open the System Recovery Options window. 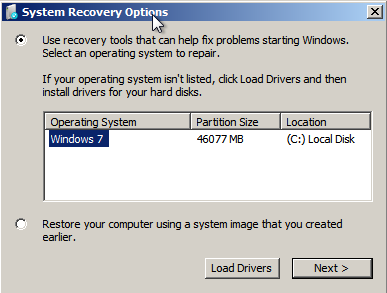 Here select the operating system you want to recover and click on the “Next” button to continue. Note: If you are using Windows 8 or 8.1, then press the F8 or “Shift + F8″ keys on your keyboard while booting, select the option “Troubleshoot -> Advanced Settings” and then again select Command Prompt from the list of the options to open the Command Prompt window. Note: though I’m showing this on a Windows 7 computer, the procedure is one and the same for Vista and 8/8.1. Once you are in the command prompt, we can start fixing the boot record error using the bootrec command. Most of the time boot record problems are a direct result of damaged or corrupted Master Boot Record. In those scenarios, simply use the below command to quickly fix the Master Boot Record. Once you execute the command, you will receive a confirmation message letting you know, and you can continue to log in to your Windows machine. If you think your boot sector is either damaged or replaced by the other boot loaders, then use the below command to erase the existing one and create a new boot sector. Besides corrupted boot records, boot record errors may also occur when the “Boot Configuration Data” has been damaged or corrupted. In those cases, you need to use the following command to rebuild the Boot Configuration Data. If the BCD is actually corrupted or damaged, Windows will display the identified Windows installations to rebuild the entire BCD. If you have installed multiple operating systems on your Windows machine then you might want to use the “ScanOS” argument. This parameter commands Windows to scan and add all the missing operating systems to the Boot Configuration Data. This enables the user to choose an operating system while booting. That’s all there is to do, and it is that simple to fix boot record errors in the Windows operating system.